Dream Pod 9: Updated Beta Rules ebook Available Now! 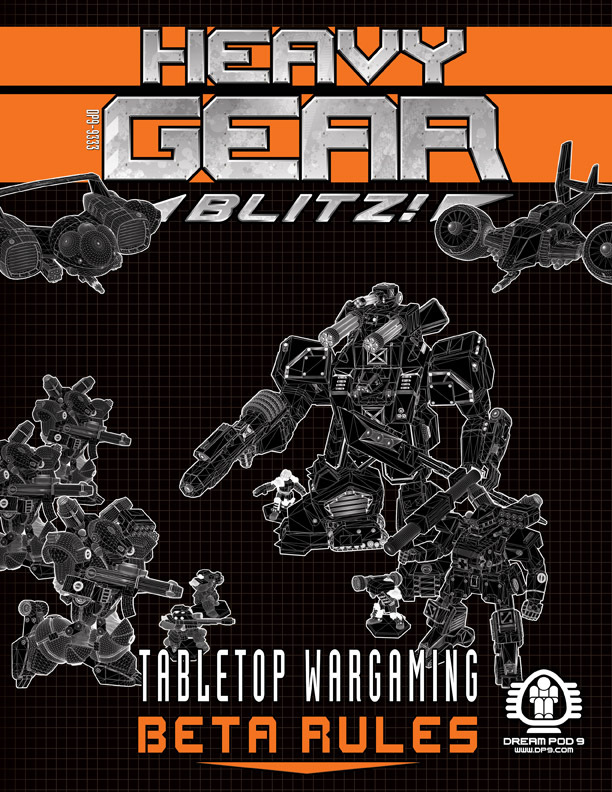 We have updated the Heavy Gear Blitz Tabletop Wargaming - Beta Rules ebook today (September 24th, 2014 Update). Here is a direct link to its free download page on DriveThruRPG for all interested. Also included in the downloads is a September 24th 2014 Update Changes Log pdf with a listing of all the errata and changes made. Home › Blogs › Robert Dubois's blog › Updated Beta Rules ebook Available Now!